I notice the discussion already trending towards so y'all c'mon in and grab a good hot cuppa cocoa and/or a supplemental beverage/accessory. What’s your prognosis for the Rangers? After taking this past season off so they could participate in the top secret (and tres experimentale) Holographic League, I'd say they be wise to do that for a few more years until they get better human players and staff. I think the Sox should try to keep Eovaldi but Kimbrel is a free agent and I'll wave goodbye to him - too much agita. I'd like to see them sign Zach Britton or even David Robertson and if healthy a reunion with Andrew Miller would be nice. Joe Kelly is a free agent, not sure how I feel about that. Thankful he was a beast in the WS but there were a lot of bad performances for months before that. Not to mention the failure as a starter before that. Sale just had his final option year picked up so if there is a window it better be for back-to-back because I don't know if they sign him long-term after that. As for the infield the only questions are, what happens with the Moreland/Pearce platoon (I'd vote to keep it in place, Pearce is clearly a good righty bat to have around especially at Fenway), and does Pedroia come all the way back or could this be the end? Or if not the end, the end of Pedey as an elite player? One of their very best I have to say. So the first action in hot stove is the Yankees decline Gardiner's option and immediately signed him to a one year deal? Makes sense for him, I'm sure its plenty of money still and he gets to be on a roster that should do well. Is this insurance on Ellsbury or is that really a totally separate consideration? Cause if Ellsbury is actually capable of playing its a lot of money left to sit on the bench or eat. And if Harper is targetted it necessitates at least a move or two in the outfield to make room. As for Gardiner it seemed like he was close to the end most of the year especially offensively. One of the greats. RIP. One of my favorite players when I was a kid, though he was well past his prime. Dan, re Gardner, I just hope NY signed him for a couple million. He could still provide some value as a backup and pinch-runner, but yeah, offensively I think he’s just about out of gas. I like how his face filled out as he got older, because when he was young, I thought he had the longest head in the history of the world. But my god, those 66 Giants were killer. If there had been a playoff system then...the Orioles were magic that year, but if they had gone up against that Giants team instead of that Dodgers team, hmmmm...maybe they should have kept Cepeda? I actually thought the 65 Giants were better; Mays was MVP. Unfortunately, the Dodgers prevailed again. The Giants had good to very good teams in the 60s and early 70s but only one pennant and divisional championship to show for it. Can't tell you how many times I saw McCovey play as a Giant and Padre, it was a lot! Had such a graceful, looping swing, and when he connected, the ball seemed to jump off his bat. Sad to see him in a wheelchair in his final years, but he seemingly had a good attitude, and was always a gentleman, to use that old-time phrase. 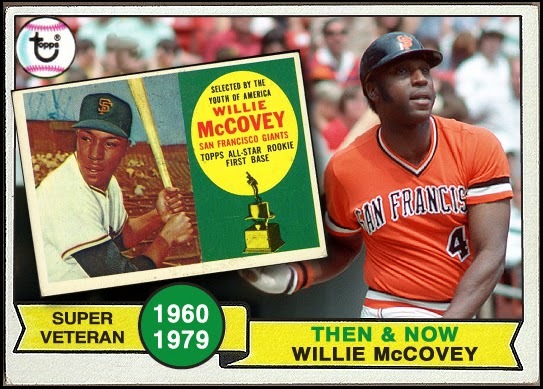 I read somewhere (I think) that McCovey was more beloved by fans than Mays because he was a San Francisco Giant whereas Willie had been a NY Giant. That 1966 NL race was one for the ages, going down to the last week or so of the season, Dodgers, Giants and Pirates, could have gone to any of them. It was tense, and made more so, in retrospect, by the total absence of any option other than winning the league and heading to the Series, period, or not winning the league and going home, also period. 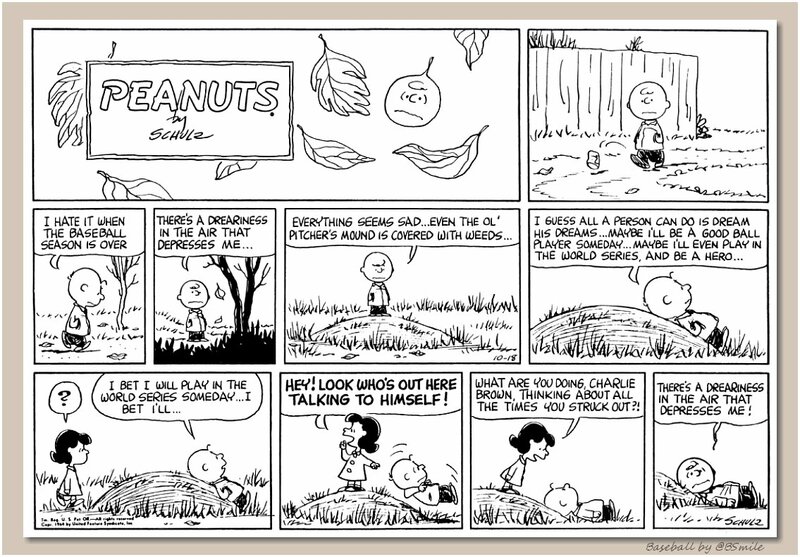 Nowadays we get drama out of division and even wildcard races, but after that drama ends, here come the post-season dramas, and then, finally, the WS. There's just too many teams to run it like that now, but just sayin', that was a kind of macro-drama then that we don't have now. "Season" meant something different then than it does now. Now Kershaw and the Dodgers have agreed to an extension of his time to decide whether to opt out or not to Friday afternoon? Wonder what this is about - he's owed over 30 million a year for the next two and with his history of back problems and declining fastball and strikeout rate, does he really think he can do better on the market now? I wouldn't be completely shocked if the Dodgers are hoping he'll opt out, to clear the salary, so maybe they are giving him more time hoping he says he's leaving. Now watch they'll instead announce a new extension covering the two years plus some time more. Kershaw’s best bet would be to get an extension with the Dodgers. I think he’d be an idiot to opt out... and was anybody surprised that David Price opted not to opt out? The market is not great for pitchers on the wrong side of 30 who are already making the kind of money that Kershaw and Price are hauling in. I remember listening to his his first MLB game on the radio. IIRC he got 4 hits and I was thinking "who is this guy?" SF fans favored Orlando Cepeda from the time he was a rookie in 1958, the year the Giants came to San Francisco, over Mays also. Go figure. I know the Dodgers are making money hand over fist but even they should know that being tied to Kershaw to his age 35 season (or beyond) is a sucker bet. Between the back issues and his declining fastball speeds, he's not that far from being Rich Hill (probably without the side trip to the Long Island Ducks). This is gonna make Paul's day. Not so much being out on Harper but that they want to go all in on ... Machado. If its true and Harper doesn't take aim at the short fence ... we Red Sox fans thank you Mr. Cashman. They’re going to have serious competition from the Phillies and probably the Mets.